Team Group T-Force gaming series once again released the all new luminous memory module DELTA RGB. The R on the heat spreader represents Revolution, and also stands for creative concept with an uncompromised spirit. The heat spreader is built with lighter, thinner and high quality metal material. The colorful light changes make the hollow R on the front even more stereoscopic, and echo the ultra wide angle luminous area. The extraordinary Revolution will provide players a new experience never seen before. DELTA RGB is using full color, dazzling RGB LED lighting with force flow effect. Like a Jedi holding the lightsaber, players can be invincible in the gaming world. 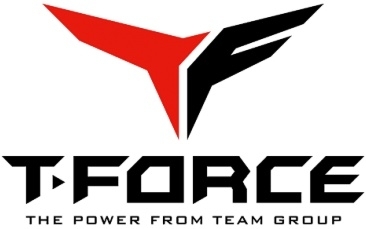 T-FORCE LOGO is like a warriors badge, standing still in the changing lights. The full frame, 120° ultra wide angle luminous area at the top emits colorful bright light. The color of the light changes smoothly to provide players an unparalleled visual feast, no matter it is day or night.